Recently, Pinoy Big Brother (PBB) officially announced the big winners of season 4. The hotshot Engineer from Cebu city "Slater Young" who has successfully received the big prizes from the big house of Pinoy Big Brother Unlimited. 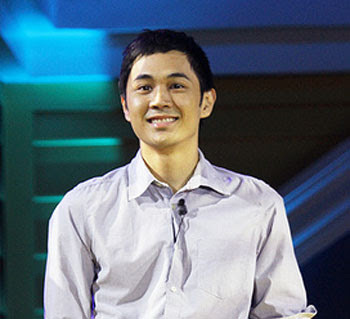 The first male housemate who took the title of PBB Big winner is Slater Young. He got the unlimited prizes such as: 2 Million pesos, Sony Internet TV , Crystal Clear Negosyo Franchise, Asian Tour for 2person. Now that he had proven to himself that he can be a mature person inside the house or even outside the real world. He deserved to win, right? You can share your opinion or comments about this post, just write it down to the comment section. Comments or suggestions about "Slater Young is the Big Winner of PBB Unlimited" is important to us, you may share it by using the comment box below.